products for Data Centres "
Did you know that we carry Pre-Terminated Fibre Optic Cables in stock? Contact us now to request a rapid quote. We may have exactly what you need. Get Your Free Rapid Quote Now! 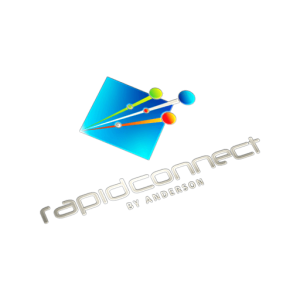 The rapidconnect product range incorporates all passive Fibre Optic cabling and cabling related products. The Yamasaki range of products encompasses Test & Measurement such as Fusion Splicers and OTDR’s as well as active Networking products like SFP’s and Media Converters. The Salamander range of products include Fibre Cleaning products as well as a full range of Fibre Tools including Termination Kits. Again, Anderson is the Australian distributor for the Salamander range of products. Learn about Fibre Optics with Anderson. Learn about Fibre Optic theory and products by tuning in to the Anderson University Channel. We have been in business since 1988 providing gold class service to every customer. Anderson Corporation is proudly an Australian owned and operated business. We want to keep our customers informed and up to date with the latest Fibre Optic technologies. Watch the Anderson Marketing Channel and check out Fibre Talk to stay up to date. Review all our products and feel free to contact us for any further information.